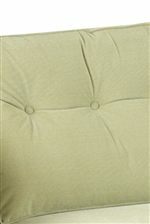 The Audrina collection has a charming mid-century modern style that will fit nicely with your living room decor. 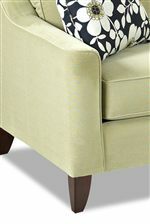 This high quality upholstered collection features slim sloped track arms, button tufted cushions, and sleek tapered wood feet. Both classic and comfortable, this set will complement any decor. Browse other items in the Audrina collection from AHFA in the area.